Priscilla Walmsley serves as Managing Director of Datypic, a consultancy specializing in XML architecture and design, SOA and Web services implementation, and content management. 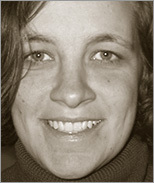 She was a member of the W3C XML Schema Working Group from 1999 to 2004. She is the author of XQuery from O'Reilly and Definitive XML Schema (Prentice Hall). In addition, she co-authored the book Web Service Contract Design and Versioning for SOA. Priscilla lives (and usually works) in downtown Traverse City, Michigan. "Overall, I am really pleased with this book. I've read some other on the same topic and they were either not as compact or not focused enough. The material available in this book clearly illustrates how the author master the XQuery language and give plenty of information usually needed for real-world projects, through some XQuery functions which should have been added to the language. I have personally used this book for a real-world project dealing with lots of XML documents and it has proved to be really useful. The companion website is also a must-have when developing XQuery functions."